After: Wearing Wowder, highlighter, and blush. After 6 hours: No Wowder touchups. 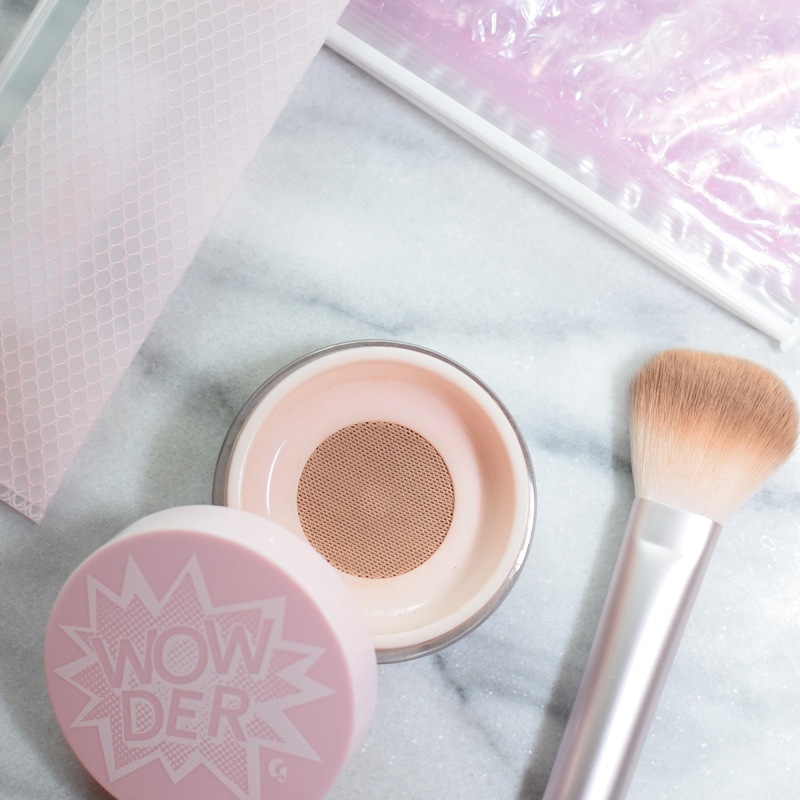 I've been testing out the new Glossier Wowder for the past few weeks, and I've come to give you my final thoughts! 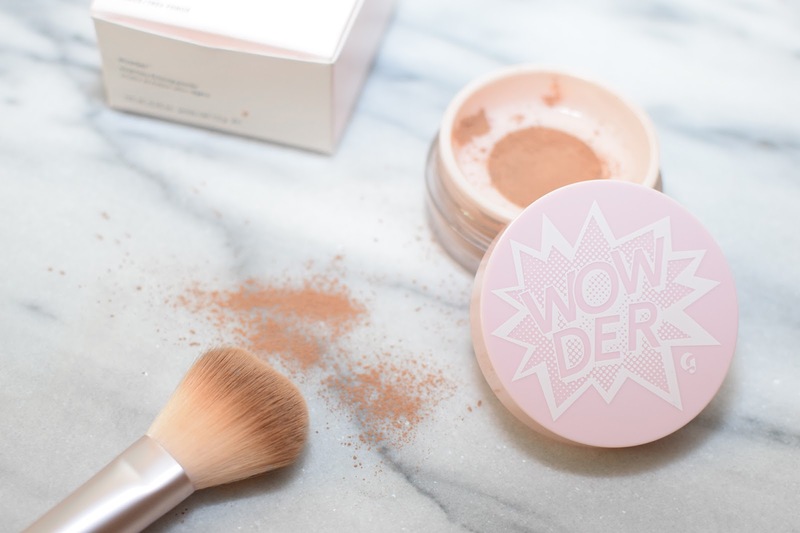 The Wowder powder claims to be adaptable to most skin tones, and I found this to be true for my skin when placing it over a foundation rather than on bare skin. In the photoset above, I applied the Wowder to moisturized skin as I was testing it without using foundation. 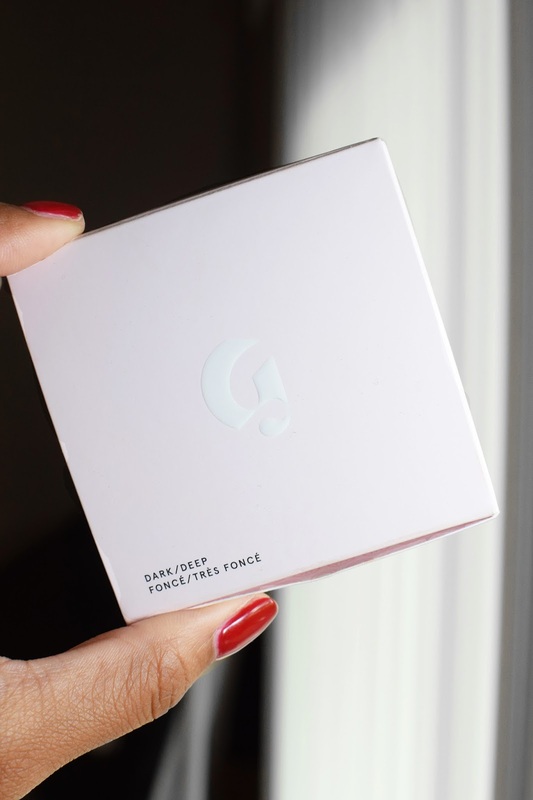 If you want to see how it look over foundation, check out my first impressions video here! On bare skin, it applies a bit darker and looks like I'm wearing a foundation that's the wrong shade. I'm currently my "summer shade" and the Wowder is even too dark for my tanned complexion. I'm not sure how this color will fair in the wintertime when my tan fades. In the third photo in the before/after photoset, you can see how the Wowder lasted on my bare skin after 6 hours of continuous wear. You can see the oil peeking through, so I would definitely have to powder down again. I think this is better for everyday use, but I'd opt for something like the Laura Mercier powder if I was wearing a full face of makeup, or going out. It's definitely a weightless powder like it claims to be. It doesn't feel like anything on my skin, and when I touch my face and it feels incredibly soft and smooth! I like the concept of the Wowder being adaptable, but I think it would fair better if they were to separate the categories and do one shade each for: light, medium, dark, and deep (rich already has its own shade). I think this would provide better color matches. As I mentioned in my first impressions, I really love the packaging. It's so much less of a mess than all of the other loose powders that I've used. More companies seriously need to start using the trampoline mesh idea (cough, Laura Mercier, cough). I do wish that you got more product for the price because there's only 0.25 oz of product in the container. Maybe they did that so it was more compact and easier to travel with? Who knows. Overall, I'd rate this product 7/10. Not my favorite powder, but also not the worst I've ever tried. It could do better with the shade range and oil control. Other than that, I do like this for everyday. If you want to try this product out for yourself (or any other Glossier products), you can shop with me using my rep link, http://glossier.com/reps/aliciaenkhulzii! I do get a small commission off each order, but you'll get 20% off!